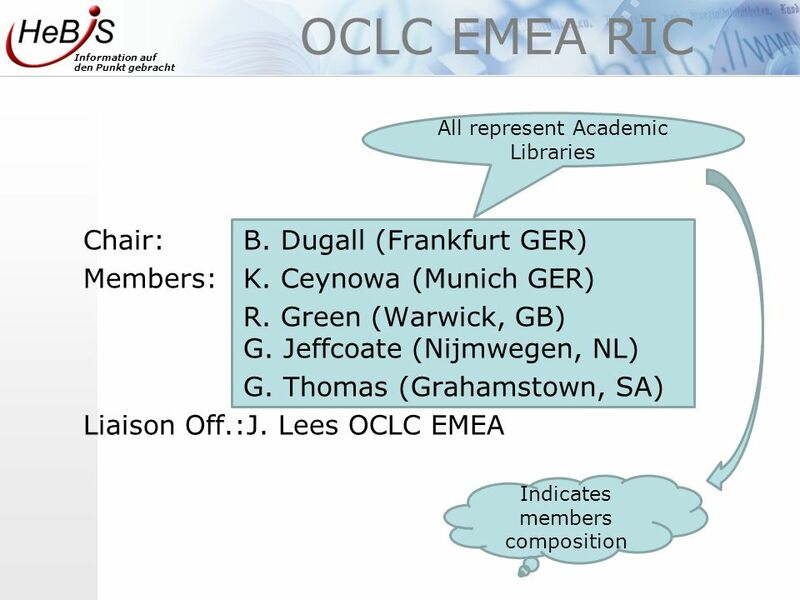 Information auf den Punkt gebracht Berndt Dugall, Chair, OCLC EMEA RIC. 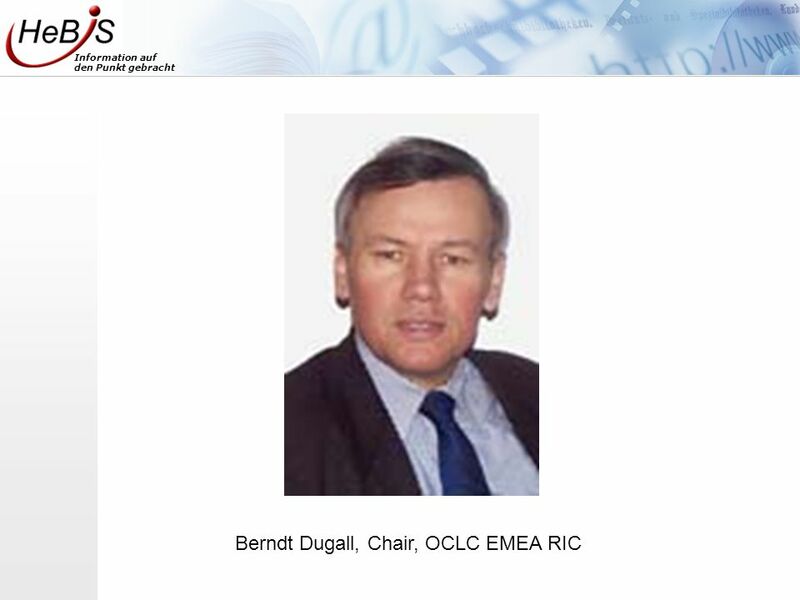 Download ppt "Information auf den Punkt gebracht Berndt Dugall, Chair, OCLC EMEA RIC." 29/08/2003 Work Package 1 Network Management R. Wick – Senior Project Manager. UNESCO INSTITUTE for STATISTICS The Conceptual Framework of the UIS Data on Finance A short introduction to the definitions underlying the Questionnaire. INTRODUCTION CURAÇAO & ST. MAARTEN Training UNESCO Science, Technology & Innovation Indicators 1-3 February 2011, Grenada. Volunteering and intergenerational solidarity June 2011. 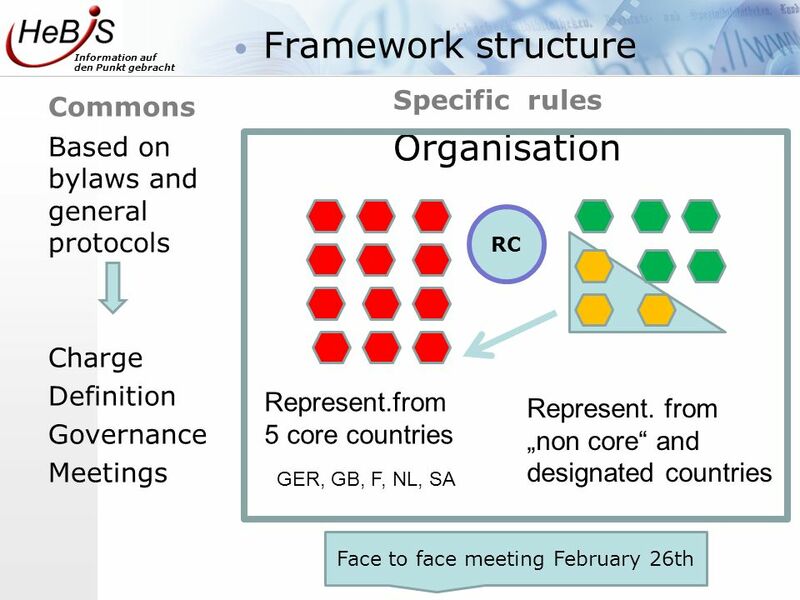 European Commission: Environment Directorate General Slide: 1 ECCP Aviation Working Group Mandate and draft work programme Directorate C – Air and Chemicals. ITU Symposium on progressing the Climate Agenda through Green ICT standards, Seoul, September 19, 2011 Jean-Manuel Canet Senior Manager, Orange Business. Future Faces of Physics Physpardy! Double Physpardy! E-frame: A European Framework for Measuring Progress Gosse van der Veen Director General, Statistics Netherlands Co-chair E-frame consortium Eframe conference. WF REPORTS > 36 members 17 responses of which 2 non-”member” organisations. Attending International Exhibitions :  International exhibitions attended :  Achema 2009 : o Country name : Frankfurt, Germany o Booth Number : 5.1 stand. Conclusions from Working Group 2: (part 1) The Changing Academic Community Chair: Professor Loyiso Nongxa Vice-Chancellor University of Witwatersrand South. Karen Williams CIC CLI Conference May 2009 Twin Cities Deans Council February 2008. HOW TO MEASURE EXTREME POVERTY IN THE EU Our Plan Brussels 22 September 2009.